There is a lack of knowledge about the joint line orientation of the femur and tibia in non-osteoarthritic knees. The primary purpose of the present study was to evaluate the orientation of the joint lines in native non-osteoarthritic knees using 3D-reconstructed CT scans. 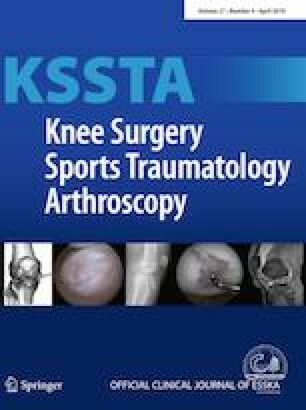 The secondary purpose was to identify knee phenotypes to combine the information of the femoral and tibial alignment. A total of 308 non-osteoarthritic knees of 160 patients (male to female ratio = 102:58, mean age ± standard deviation 30 ± 7 years (16–44 years) were retrospectively included from our registry. All patients received CT of the knee according to the Imperial Knee Protocol. The orientation of the femoral and tibial joint line was measured in relation to their mechanical axis (femoral mechanical angle, FMA, and tibial mechanical angle, TMA) using a commercially planning software (KneePLAN 3D, Symbios, Yverdon les Bains, Switzerland). The values of FMA and TMA were compared between males and females. Descriptive statistics, such as means, ranges, and measures of variance (e.g. standard deviations), were presented. Based on these results, phenotypes were introduced for the femur and tibia. These phenotypes, based on FMA and TMA values, consist of a mean value and cover a range of ± 1.5° from this mean (3° increments). The distribution of femoral and tibial phenotypes, and their combinations (knee phenotypes) were calculated for the total group and for both genders. The overall mean FMA ± standard deviation (SD) was 93.4° ± 2.0° and values ranged from 87.9° varus to 100° valgus. The overall mean TMA ± SD was 87.2° ± 2.4° with a range of 81.3° varus to 94.6° valgus. FMA and TMA showed significant gender differences (p < 0.01). Females showed more valgus alignment than males. The most common femoral phenotype was neutral in both genders. The most common tibial phenotype was neutral in the male knees (62.8%) and valgus (41.6%) in the female knees. In males, the most frequent combination (knee phenotype) was a neutral phenotype in the femur and a neutral phenotype in the tibia (25.6%). In females, it was a neutral femoral phenotype and a valgus tibial phenotype (28.3%). 3D-reconstructed CT scans confirmed the great variability of the joint line orientation in non-osteoarthritic knees. The introduced femoral and tibial phenotypes enable the evaluation of the femoral and tibial alignment together (knee phenotypes). The variability of knee phenotypes found in this young non-osteoarthritic population clearly shows the need for a more individualized approach in TKA. Michael T. Hirschmann and Lukas B. Moser contributed equally. Funding was obtained for statistical analysis from Symbios, Yverdon les Bains, Switzerland. All investigations were conducted in conformity with ethical principles of research and that institutional approval of the human protocol for this investigation was obtained. Informed consent for participation in the study was obtained.